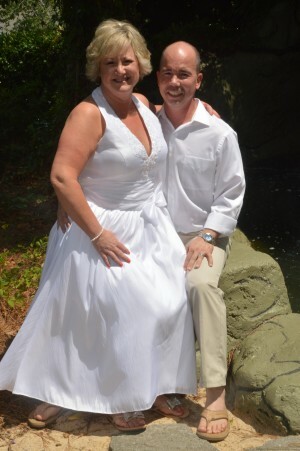 Tina Ann Steele of Hamlet, North Carolina and Richard Wayne Powers of Dillon, South Carolina were united in marriage on June 21, 2014 at Wedding Chapel by the Sea in Myrtle Beach, South Carolina. Dr. Terrence Grainger officiated. The bride is the daughter of Pat Steele and Mitchell Steele. The bride’s attendant was Lyndsey Elizabeth Herman of Hamlet, North Carolina. The groom is the son of Mary Powers and Billy Powers. The grooms attendant was David Trent Merchant of Cheraw, South Carolina. The couple will reside in Hamlet, North Carolina.